You are keen on design, linking the tradition with the future? Then apply now for the staged design award 2016 and convince the international jury for your idea! In case of nomination, you will have the chance to present your design in front of over 12.000 visitors and take part in innovative workshops. As a possible awardee, your design will be shown at exhibitions in various European cities. For application please use the pdf file. Staged is the cross-border design award and show for upcoming design from the Czech Republic and Germany and an interdisciplinary workshop-/ event format in the fields of material science and design. Granted for the third time, staged is presented from 8th till 10th of January 2016 within a curated exhibition at room+style interior fair in Dresden, Germany. In 2016, staged will host a special polish design selection. 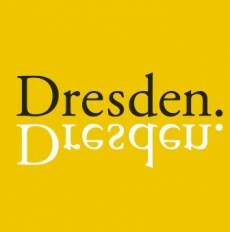 All applications will be evaluated by an international jury and the best works will be presented at the show in Dresden. Within the exhibition, the audience will have the choice of decision, who will be rewarded with the staged design award. Following the main event in Dresden, the three awardees will be presenting their work within a roadshow in various European cities. By doing this, the idea of the crossborder dialogue, the cooperation between science and design, as well as the potential of design for the challenges of today will be published widely. Central to staged is the exhibition of innovative product design from the Czech Republic and Germany. Within the theme »The Future of Tradition«, young students and graduates from the two neighboring countries, studying in the fields of design, architecture, art and engineering are called upon to apply with their design ideas. The best works will be selected by an international jury, to be presented within the curated exhibition, accompanied by a special material show and a framing program of lectures and workshops.